We love BMW but we’ve to admit that we aren’t that familiar with BALL watches. Since a while, BMW has a partnership with this watchmaker from the USA who has its roots in the world of rail roads. Timekeeping was very important in those early rail road years, to prevent terrible accidents from happening (again). 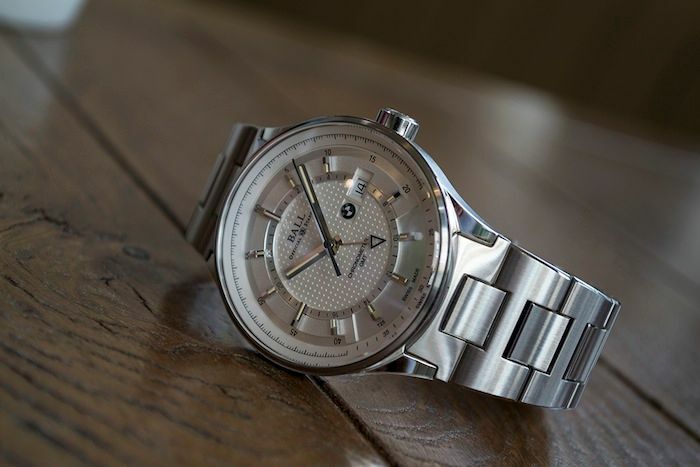 Our friend Christopher Beccan from Bexsonn (watches x whisky) wrote an excellent article on BALL for BMW and put the spotlight on two different models: GMT and Classic. Our preference? The GMT. Why? It’s purity and clear ‘engineered’ inspiration. The case and bracelet reminds us a bit of the discontinued IWC GST. We do feel that this watch has some shortcomings as well. The GMT hand is a bit short in our opinion and the dial has a bit too many ‘steps’ or details. However, the overall look is nice and the finish looks good. For an in-depth review by Bexsonn, visit www.bexsonn.com/blog/ball-for-bmw-engineered-for-perfection.